The challenge for this card is at Operation Write Home right now–it is to create a card using a flourished t-shirt as inspiration. 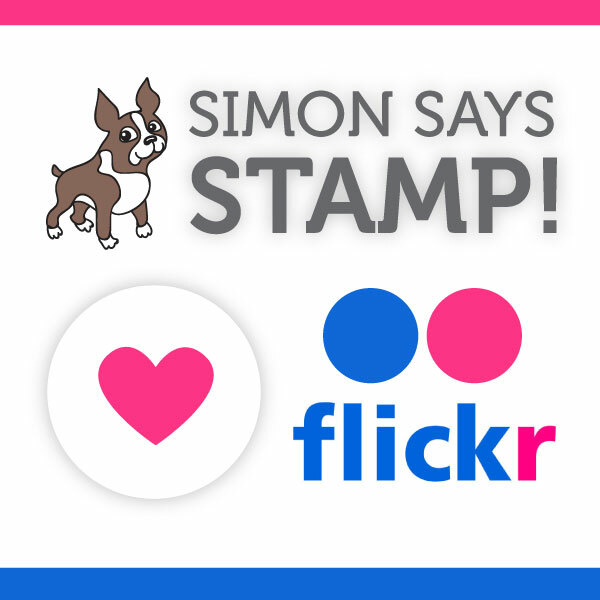 I used stamps to create the entire image, and stippled ink in the background to add some more color. This was quite a challenge for me, but it was fun! Thanks for stopping by! This entry was posted on Friday, November 4th, 2011 at 10:55 pm	and posted in General Cards, OWH. You can follow any responses to this entry through the RSS 2.0 feed. Great card! Love the muted colors and clean design! TFS! Hi Yolanda, that swirly stamp looks terrific! The birds make a nice touch, plus the bling. 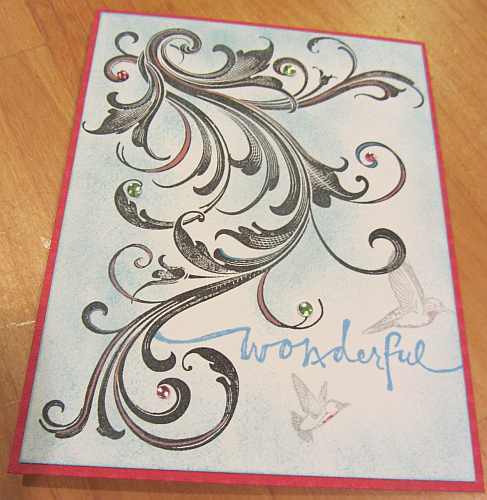 Your card is inspiring me to make some cards like this out of some swirly type stamps I have but have been too chicken to use! Sorry Yvonne, I am such a goof with names! One time I called a friend of mine by the wrong name for a WEEK. She knew I would catch it sooner or later – and it was LATER, lol! Wow, I love this card! Thanks for playing in our Midweek Throwdown challenge at Operation Write Home!